Info: Created on 14th January 2009 . Last edited on 20th April 2009. Absolute mastery with the pixel, gue! The attention to detail, the thin-thick variation, the letter forms are all so brilliantly executed. I keep staring at the shapes. I love them so. They make great characters at pixel level, but the pixel lover in me wants to blow them up at huge size. I think I will make a poster of this for my wall. The 3 and the ! are my favorites. Thank you, guentersen. Pixel perfect. An instant classic. One hell of an hypnotic font. You are a pixel placing genius. Squint your eyes and it's perfect. as i know you all are well-proven fontstructors and professional designers your comments are particulary valuable to me! thanks for lovin the f and the g! and thanks for not lovin' the 1,2,4 and 8. I made some variations and changed 2,4 and 8. I also made some corrections on 6 and 9. Hope you like the improvements. 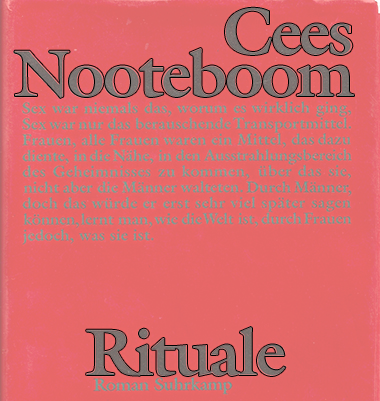 This is the original sample of the font i pixelized. can anybody out there tell me what font it is? There are many different interpretations of Garamond. I think Adobe Garamond Pro is pretty close. I am an enthusiastic user of Adobe Garamond Pro ... and it doesn't fit. I added a sample of AdobeGaramondPro. The one from the Cees-Sample has a characteristic t with a straight-bottom-hook and a clean geometric triangle on the top. maybe you've got another tip? i've been searching for this for ages! I am amazed at the consideration that went into this! Superbly done. I LOVE Adobe Garamond Pro!! It's my favorite font in the entire universe!! By the way, (fun fact for you) all seven of the American versions of Harry Potter are set in AGaramond. adobe garamond pro is an adorable font and i enjoyed it while reading the seven books of the young wizard. 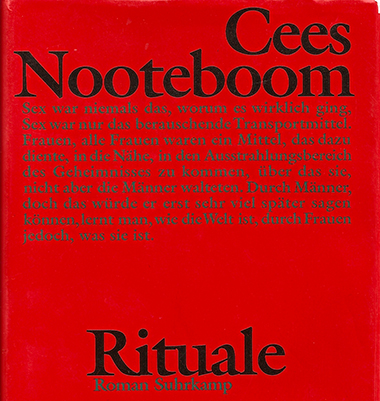 and if you choose your book by the font then let me say that the book of mr. cees nooteboom is the one of your choice (in the sampled german issue as shown above) it' s my favourite piece of literature. uppercase would drive me nuts because of the kerning. but i'm sure there is a pixel pusher on fontstruct who will succeed.